Google Street View, a feature of Google Maps that shows high-resolution street-level images on the internet, has gone live in several Canadian cities. The service is now available in much of the Greater Toronto Area and in Vancouver and the surrounding area, north to Whistler and east to Chilliwack, B.C. Google Street View is also available in the Ontario cities of Hamilton, Kitchener, Waterloo, and Ottawa, as well as Calgary, Canmore, Banff and Lake Louise in Alberta, Montreal and the surrounding area, Quebec City and Halifax. The street-level view can be accessed from Google Maps by clicking on the small orange figure that appears above the zoom control and dropping it on the map. Google Street View also added cities in the Czech Republic on Tuesday. The service, which first launched in five U.S. cities in 2007 and is now available in 14 countries, including the United Kingdom, Spain, Australia, and Japan, provides close-up, 360-degree views of city streets as they would be seen by someone driving along them. The images are linked to the company's Google Maps and Google Earth applications. 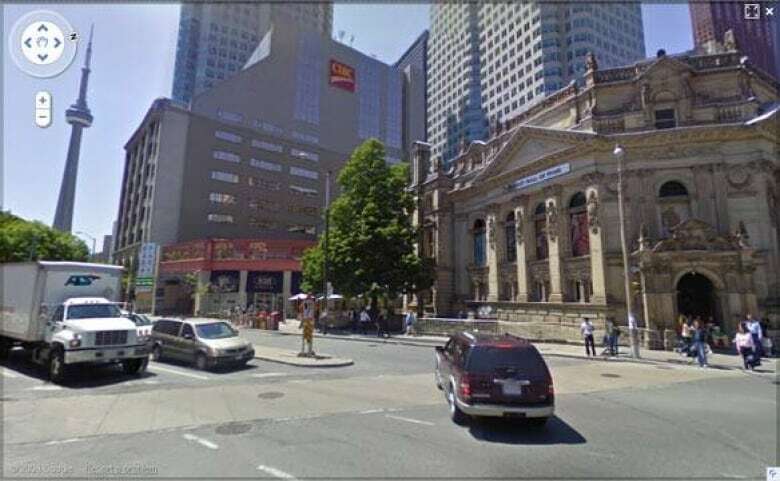 Google has been filming Street View images in Canadian cities since 2007. In addition to the cities where the service is now live, Google said its cars have been filming in Saint John, N.B., Edmonton, Saskatoon and Winnipeg. Google has tried to address the privacy concerns of Street View brought up by Canada's privacy commissioner. The company has added privacy features to the service, including the automatic blurring of faces and licence plates to avoid identifying people and cars and an easy method for asking that images be removed. A street view service provided by another company already exists in Canada. That service, which includes images of Vancouver, Whistler and Squamish, was launched by Vancouver-based Canpages Inc. in March. However, B.C. falls outside the jurisdiction of the federal privacy commissioner since its laws are similar to federal laws and take precedence within the province. Google Street View was launched in the U.S. in May 2007. Four months later, privacy commissioner Jennifer Stoddart warned the service might not comply with Canadian privacy legislation, because it included images of identifiable people that were collected without their consent. Google implemented the face-detection and blurring technology when it added new images for the Street View of Manhattan in May 2008. The technology doesn't always work as expected and will sometimes blur faces on statues, billboards or horses. YOUR VIEW: What do you think of Google Street View?